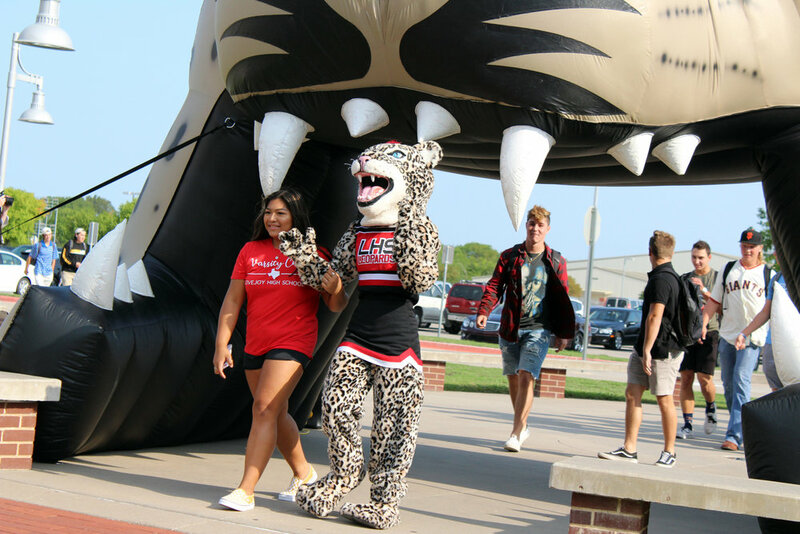 August 20, 2018 - Lovejoy High School was abuzz with excitement as Leopards strode into school for the first day of the 2018-19 school year. This day was earmarked with special pomp and circumstance for the seniors as they participated in the annual tradition of a senior breakfast and Senior Walk. Evie McGowan, Student Council President, and Carson Collins, quarterback and team captain of the football team are both seniors and shared their thoughts on this momentous day, reflections of their years at Lovejoy High and advice to incoming freshman. McGowan and Collins have gone to school together since second grade at Hart Elementary. McGowan looks at the Senior Walk as a rite of passage. 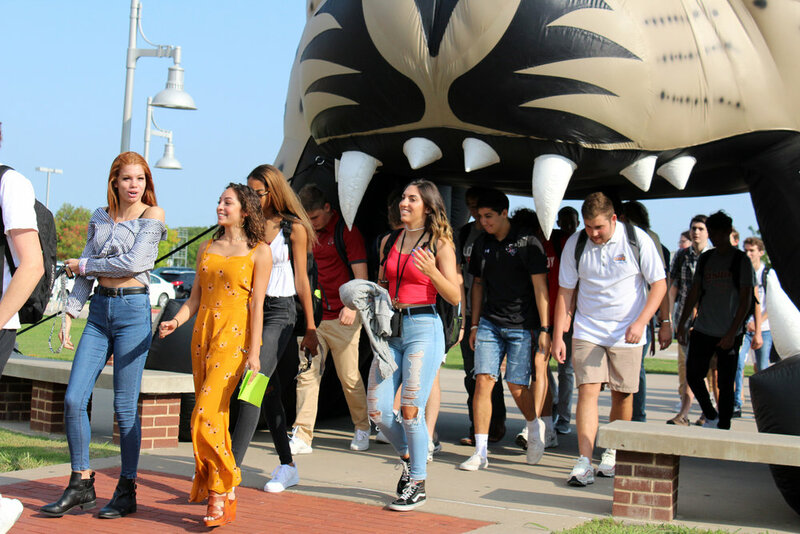 She said, “Everyone before us has done it, and now we get to do it.” As far as anyone can remember, the Senior Walk has been done at Lovejoy High School. Collins said that on this day they will walk in together as seniors and on the final day of school they will complete the tradition by walking out together as seniors. McGowan said that participating in the Senior Walk as a senior makes the thought of graduation a little more real. When Collins was a freshman watching Senior Walk, he said, “I didn’t think much about it. I felt like they (the seniors) were so old.” McGowan said she remembers looking at the senior cross country team members and thinking they looked so big and old. She felt like her senior year was so far away, she now knows the time goes by fast. Changes they feel they have gone through in the last three years include becoming more self-reliant, gaining maturity, getting a driver’s license and jobs, increasing their perspective and making new friends. During her senior year, McGowan intends on taking in all the lasts the seniors will go through. She also wants to invest in relationships with her cross country team members before she leaves for college. She will work on college and scholarship applications as well as dual credit classes. Collins plans to enjoy his last season playing high school football and working towards earning a scholarship to play football in college. He will focus on getting the best grades he can in his dual credit classes. As the seniors entered the line of visibility, the parents lining the walkway entering Lovejoy High lifted their photo taking mechanisms in an emotional salute. These same Leopards, who three years ago thought the seniors they high-fived looked old, were now the ones appearing long in the tooth.